in P. Carofano, “Dilectus meus mihi et ego Illi”. Una Sacra Famiglia ‘molto correggesca’ di Giulio Cesare Procaccini, in “Arte Cristiana”, 887, 2015, pp. 123-130.
the scholars knew about many copies (in Milan, Museo Poldi Pezzoli; Correggio, Museo Civico; Grenoble, Musée des Beaux-Arts) and various engravings put into print. Most likely, the painting was removed from the church of San Luigi dei Francesi, a first time, during the Napoleonic occupation of Rome, and then returned to the church after the ‘Restoration’. The painting was lost track of again at the end of the nineteenth century. 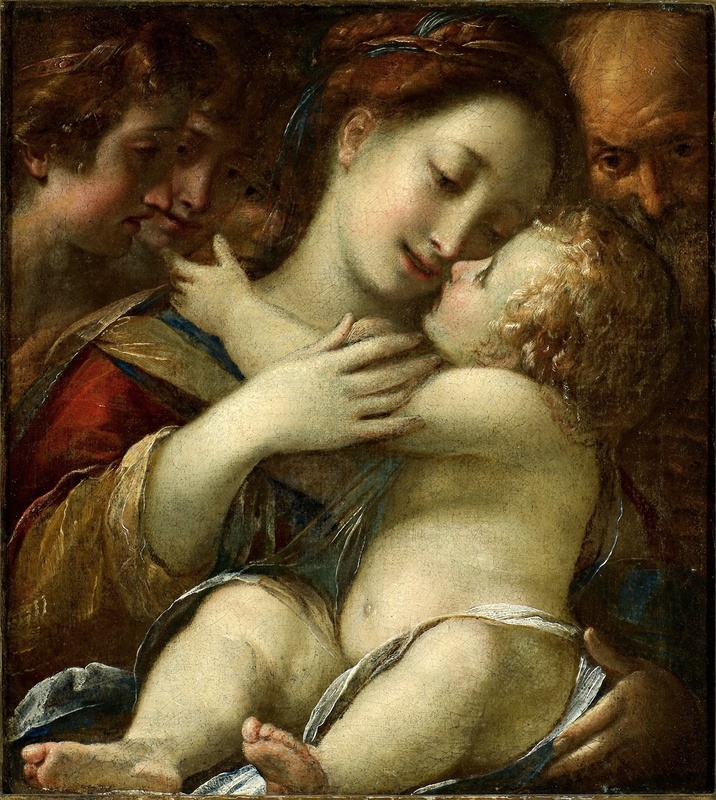 Through the study of the sources and the stylistic comparison with the copies, the author has identified the Holy Family and the Angels by Giulio Cesare Procaccini in a painting sold in an Florentine Auction (in 1933) of Andrea Robilant’s collection. No less important are the material characteristics of the painting, characterized by many ‘pentimenti.